Your Finance Formulas: Is Your Business Insured Against Meteorite Damage? Is Your Business Insured Against Meteorite Damage? Have you looked at your insurance policy recently and, if you have, is your business insured against meteorite damage? This might seem like an odd question to ask, but a surprisingly large number of businesses have an insurance policy tucked away in a drawer somewhere, but it is not until something untoward happens that they pull it out to see whether or not they can make a claim. So what should a business be covered for? As far as UK law is concerned, a business is not required to carry insurance, unless it has an employed workforce. In this case, the business must carry employer's liability insurance, for a minimum of £5 million. This cover provides protection for the regular workforce; as well as temporary staff, including casual and seasonal workers, against injury resulting from negligence on the part of the owners of the business. If the company owns and uses motor vehicles in the normal course of its operation, then it is also necessary to carry third party motor insurance cover. Most businesses using vehicles will, however, choose to carry additional motor vehicle fire and theft cover, or indeed arrange comprehensive motor vehicle cover. Just as we all accept that there are certain risks to owning a home, and choose to carry home insurance cover, so too most businesses accept the need to protect their assets. The difference, in the case of a business, is that there are more than just the business's premises to protect. Buildings, together with their contents, naturally need to be protected, just as a home does, against such things as fire, flooding, burglary, or even from being struck by a meteorite. One additional requirement for a business when looking at property insurance is the need to also cover any losses incurred as a result of an interruption to normal business, following damage to the premises. Many businesses overlook this particular risk, and research suggests that more than three quarters of all businesses that suffer a major incident, without cover for the interruption to their business, fail within one to two years. Again, because of the particular requirements of many businesses, property insurance can be extended to cover a wide variety of different things, with extensions including engineering insurance, goods in transit insurance, terrorism insurance, glass insurance and frozen food insurance. There are several other risks that a business may, or may not, choose to insure against, and two in particular are worthy of note here. The first is to provide protection for the business's employees. This will normally mean providing the workforce with private medical insurance cover. It is also common for employers to arrange life insurance cover, so that an employee's family is provided for, should he die while working in the business. In the light of the current high cost of private medical insurance, many businesses today cannot afford to meet the full cost of providing cover, and so offer a scheme that allows their employees to purchase cover themselves at a subsidized rate. 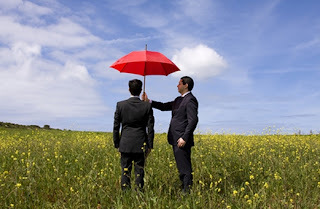 The second area for which businesses will often voluntarily provide insurance cover, is that of financial risk. This covers the business for such things as the theft of money, the business's inability to meet its financial obligations when a customer fails to pay his bill, and monetary losses resulting from dishonesty on the part of an employee. A business may also decide to include key person insurance on their policy, if the business is at risk of incurring substantial loss should key individuals within the business die, or become disabled. Finally, a business might decide to cover the risk of losing income should one or more of the business's licenses be withdrawn, or simply not renewed, for a reason that is outside of the business's control. The cost of business insurance can be high, and some businesses see this as one area in which they can save some money. Unfortunately, even a small uninsured loss can be enough to bring a seemingly thriving business to its knees.